Truth be told, I’ve fallen a few recipes behind in my #365dairyfree challenge. We took a little vacation to Sonoma Valley, which set me back a week on my goal, but it was worth it! 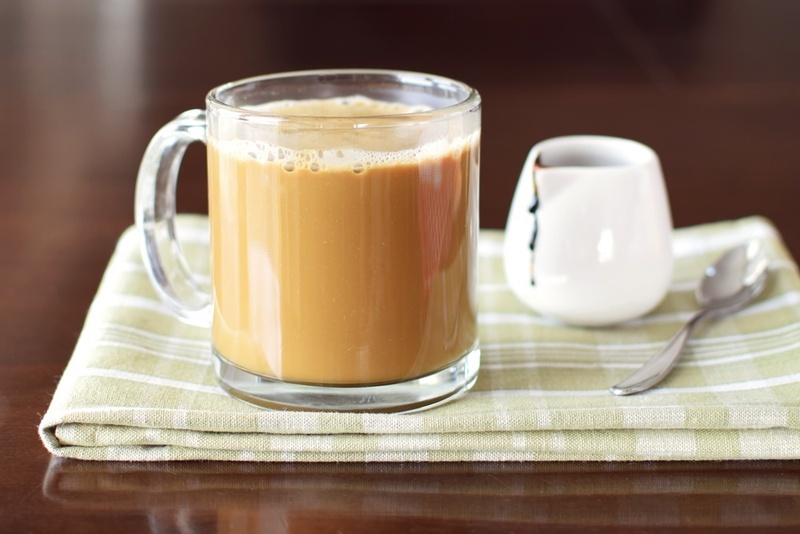 I’m revived and testing tons of recipes again, including this new favorite: dairy-free molasses milk. For those following a dairy-free diet, calcium and strong bones are often a big concern. But many people don’t realize there are some amazing, plant-based mineral “superfoods”, like blackstrap molasses. It has anywhere from 100 to 200 mg of calcium (10 to 20% of the RDA) in just 1 tablespoon! But bones don’t thrive on calcium alone; blackstrap molasses also provides other frame-supporting minerals like magnesium and potassium. For an even bigger bone boost (calcium with vitamin D! ), I’ve started combining this rustic sweetener with Silk Unsweetened Almond Milk Beverage (or Coconut for nut-free!) to make what has become one of my favorite sips, molasses milk. I add just a couple other ingredients to enhance the flavors and brighten the sweetness while still keeping the sugars relatively low. Yes, this makes it kid-friendly, too! Though this molasses milk is a quite simple recipe, I’ve included three variations to enjoy as a part of your dairy-free or plant-based diet, regardless of the temperature outside. Pictured above is the Hot Molasses Milk (lovely with the cinnamon added), which is a fantastic sip when it is cool outside – I actually prefer it to hot chocolate! When the temperature creeps up (like this past weekend), or when I want something scrumptious and mineral-filled to top that boring healthy cereal we have too much of, the Cold Molasses Milk is perfect. And when I’m in need of a protein boost, say post workout, I’ve been using the cold version to make the nutrient-packed, super-simple Molasses Milk Shake, pictured below. It seriously energizes me and fulfills cravings – perfect for fitness recovery in my book. This week’s #365dairyfree update is a sponsored conversation by Silk (the opinions and text are all mine). 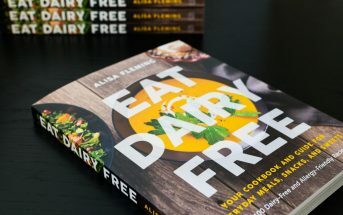 They have been a keen supporter of my dairy-free book adventures and I love using their milks in my recipe trials. Have you tried them yet? 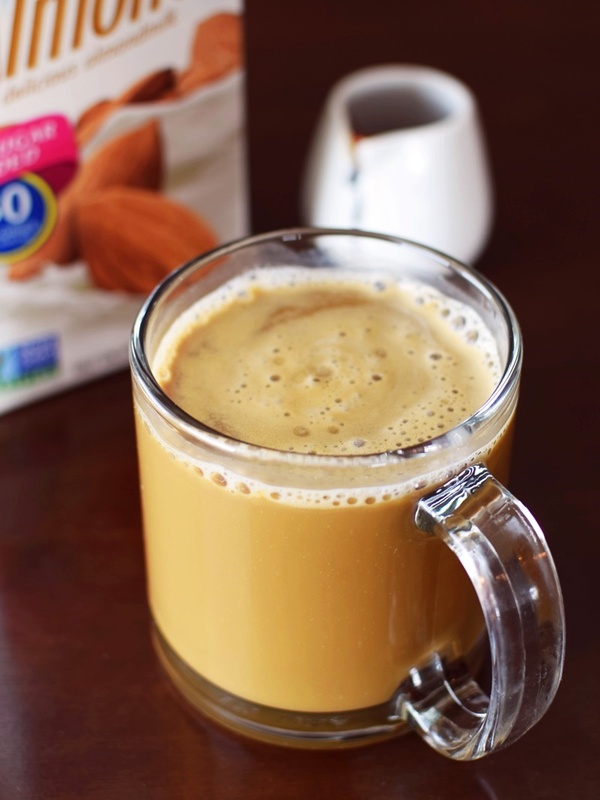 They offer Unsweetened versions of Almond, Cashew, Coconut and Soy Milk Beverages – all are dairy-free, plant-based and carrageenan-free, yet offer their own unique taste and consistency profiles. You can find them in your area via the Silk Store Locator. For money-saving coupons and more recipes, sign up for the Silk Newsletter. AMAZING idea! I just had some. I used almond milk light, so I skipped the stevia. I used tiny bits of cinnamon, ginger, and cloves, so it would taste like the molasses crinkle cookies I grew up eating. Perfection. By ingredients, this recipe is dairy-free / non-dairy, egg-free, gluten-free, grain-free, optionally nut-free, peanut-free, soy-free, vegan / plant-based, vegetarian, and optionally paleo. When I'm feeling like a little spice, I add ⅛ teaspoon ground cinnamon to this blend. Heat the milk beverage in the microwave (about 60 to 90 seconds on HIGH) or in a small pot on the stove top, until hot but not boiling. Stir in the molasses, vanilla to taste, stevia to taste, and salt (I used the max for both the vanilla and stevia). 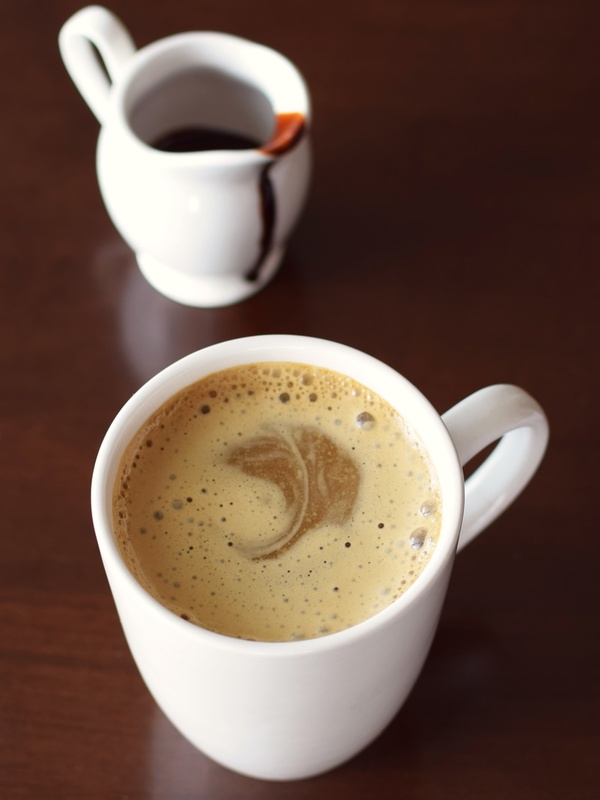 Place the milk beverage, molasses, vanilla, and salt in your blender and briefly blend to combine. Add the stevia, to taste, and give it another quick blend. 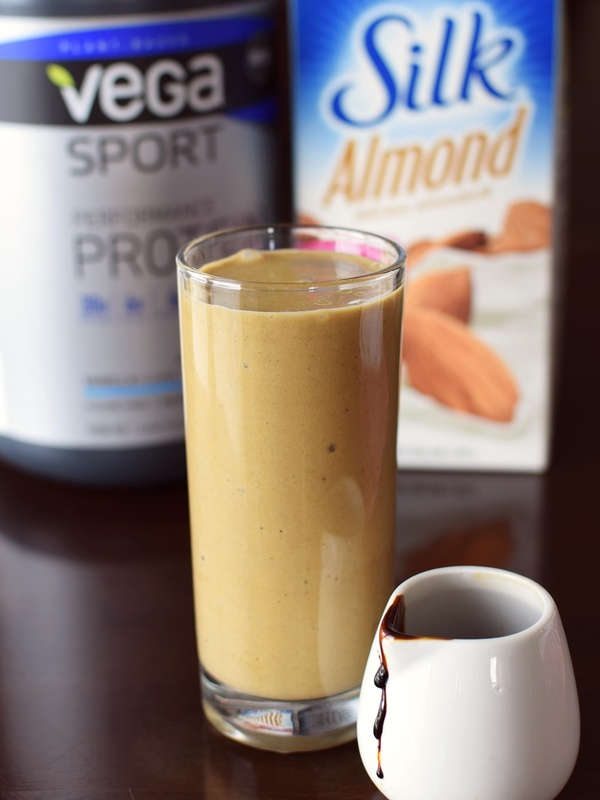 Molasses Protein Shake: Prepare the Cold Dairy-Free Molasses Milk above, but omit the vanilla and stevia. Place ½ cup of it in your blender. Add 1 frozen banana, broken into chunks. Add 2 tablespoons vanilla or chocolate vegan protein powder (I use Vega Sport Performance Protein). Blend until smooth and creamy. Definitely one of the more nutritious sweeteners – the blackstrap version anyway! (there is a more refined “fancy” molasses that has less of the good stuff). When I have it on hand, I use blackstrap molasses in my granola, mostly just to make use of it. But it’s a little bitter for that use–this sounds much better. Thanks, Alisa! I LOVE blackstrap molasses! So many healthy nutrients! I can’t wait to try this drink. Col, hot, I love this! Sounds delish with such a deep flavor from the molasses! Are molasses good for diabetics? Hi Teresa, I would consult your physician on this issue. From what I’ve read, it has a glycemic index of 55, which is similar to maple syrup, but it higher in minerals than most sweeteners. That said, I’ve had difficulty finding physician-vetted info about it for diabetics online. Great post-workout beverage I think! What a great idea, Alisa! I love getting my nutrients in a delicious package — and this sounds perfect for that! I’ve never thought of molasses milk either but it looks so good. The only way I’ve ever used it is in my oatmeal. I just tried it on oatmeal – SO good! I had no idea that molasses had so much calcium. Must try this recipe. I love Sonoma Valley. This is such a good idea, Alisa, and the sound of a hot molasses milk sounds incredibly comforting this time of year. It really is – we’ve had a cold spell, and I just enjoyed a warm mug of it last night for dessert! I must try this, Alisa. I am dairy free again (hopefully, this time for good) and I like the idea of making my almond milk more special. 😉 I also love that it can be hot or cold! I hope it works out for you Shirley. 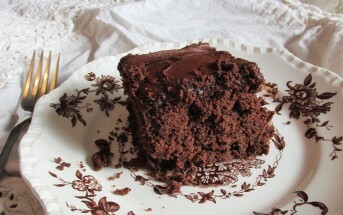 And I really think you would like this – it has that comforting vibe like your recipes are so well known for. I’m new to your blog but enjoying the dairy free recipes. My 1 yr old is dairy, nut, and egg free, and I find I feel better without dairy in my diet. Could you tell me some other uses for the molasses as I’m new to this and looking for ways to increase our calcium intake? Hi Haylie, this molasses milk is a good start (good on cereal, in smoothies, or straight up) and the almond milk beverage I used adds a substantial amount of additional calcium (that brand has 45% of the RDA I believe). As for using molasses in other ways – think smoothies, granola, muffins, homemade bars, puddings, etc. I’m just starting to experiment more with it myself and hope to have more recipes to post with it as a star ingredient this year. Yes, I noticed right away that it has that richness and bold flavor reminiscent of coffee, but different! I love how you call molasses a rustic sweetener! True! We get molasses from some of our local farmers here in NC – so delicious. I can’t wait to try this. Oh I love Sonoma, I hope you had a wonderful time! This Molasses Milk sounds delish and totally kid friendly. My daughter is currently OBSESSED with all types of chocolate milk (Silk Chocolate Cashew is her current fave), so this would be a great way to change things up a little. It’s definitely worth a try as the sugars are much lower, too. And we did have a wonderful time, thank you! I do not use molasses enough – when I have a jar it often sits for a while. now I know what to use it for – this sounds amazing! Thank you Julie – yes, their milks are so wonderful and I love all of the unsweetened varieties available.